My name is Kelli, and I’m a freelance make-up artist based in Kent. I have worked in the beauty industry for twenty years and I always use the highest quality cosmetics and products on every client, including M-A-C, Laura Mercier, Chanel, Urban Decay and Airbase Airbrushing Foundation (high definition make-up). I do simple hairstyles and professional make-up for commercial projects, and I’ve years of experience doing bridal make-up and nails for beautiful, blushing brides-to-be. I am a fully qualified #BeautyTherapist and my past experience includes working for Virgin Atlantic in the upper class cabin as an In-flight Beauty Therapist, providing treatments to the passengers. This was so much fun, and I gained invaluable experience working with VIPs and celebrities too. And thanks to every single client that walks through the doors, it is going from strength to strength. One of my regular customers is celebrity hairdresser Vicki Lord; she has her nails done before presenting on QVC. And Hollywood Maggie Q also had her nails done at my salon. I was trained by David Horne, at the prestigious Jemma Kidd Make-up School, and as a Professional Make-up Artist based in Kent and around London, I ensure that I am abreast of all the latest fashion and beauty trends, as well as perfecting the classic looks, and I am constantly learning about and applying new make-up training techniques. I am also a fully trained CND nail specialist. CND are renowned for high-quality nail enhancements and products, and I am thrilled that my clients are always thrilled with the results! I thoroughly enjoyed training with Pam Wrigley on her Creating Beautiful Hair course, so I can style simply hair looks for commercials or create basic styles for weddings, having recently trained with the Vicki Lord Academy. 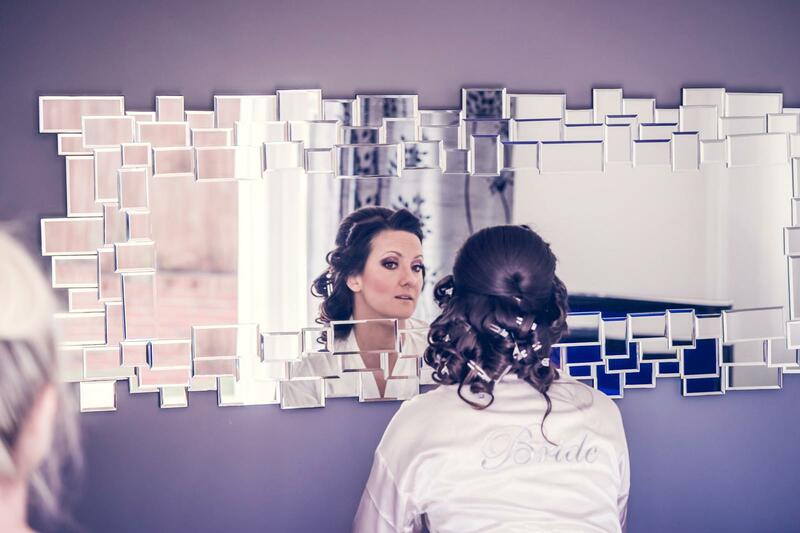 I consider myself very fortunate to be able to beautify clients, making them feel and look great, and this is particularly rewarding when my team and I are pampering a bride on the most special day of her life. I’ve recently trained in the revolutionary #Environ facials. I have written comments and articles for magazines including Your Kent Wedding, Hitched, Wedding Ideas website, WomenTalking.com and Scratch, as well as appeared on Sky’s relationship show, Love Talk TV for bridal makeovers, and worked on models for runway shows including PRO Hair Live 2016. *I currently do not offer bridal hair even though I am trained. I do offer simple hairstyles for commercial projects.